By far one of the most inspiring athletes in our gym, Kris Machnick is STILL climbing at the young age of 80!! 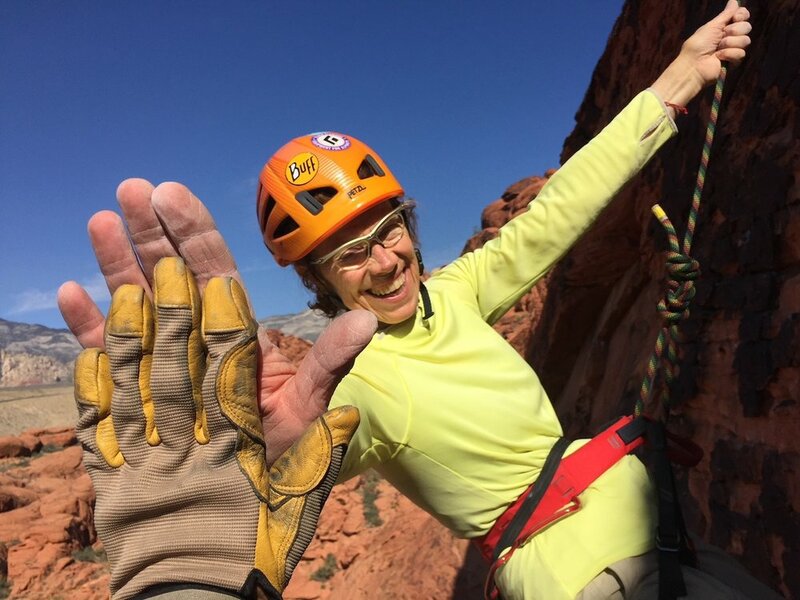 She is proof that it is never too late to start a new sport—she didn’t start climbing until she was 64 years old! She is highly dedicated to her sport and her training—she has been doing Crossfit since before I started in 2004 and still works with Jimmy once a week. And she is using her age and ability to raise money for Alzheimer’s and Parkinson’s research. In her 8 for 80 effort Kris has committed to climbing 8 ice and rock routes and fund raising $100,000 towards these causes. We are so lucky to host such a special athlete in our gym.